Tioreo created a modern, classy and search engine friendly website. Fully responsive, with news section, photo gallery and sections with information about the company services. 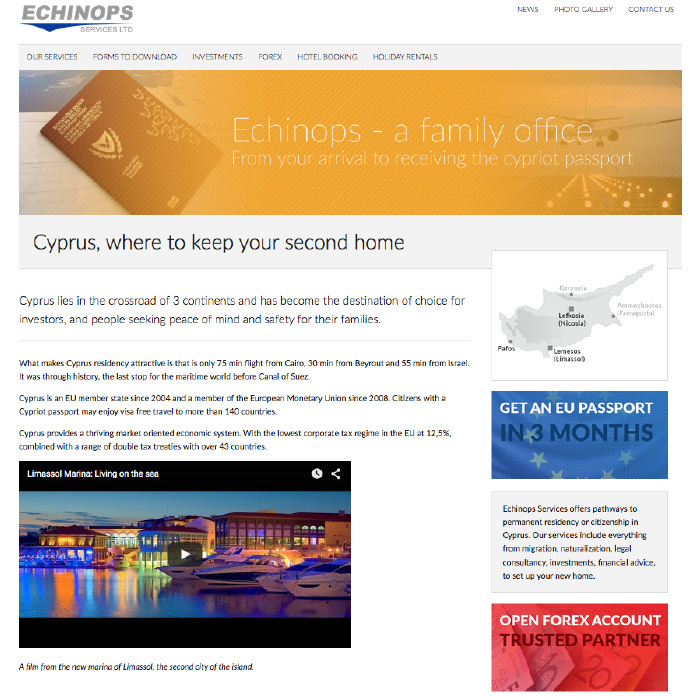 The website is now a meeting point for both old and new Echinops clients, a source for information and possibility to download documents.